Surveying works covered the aqueduct at its entire 2,5klm length. Underground survey was done using both a laser scanner and conventional means. The purpose of the survey was to create the necessary drawings to be used in the subsequent design phases for the restoration works. The drawings included the unfolded projection of the tunnel excavation perimeter, cross sections (every 10m using conventional means and every ~0.5m from the laser scanner), layout plans and longitudinal sections. Initially a control network using a GPS was established. The survey was done using reflectorless total station. The main traverse through the tunnel has more than 65 stations with a total length of more than one kilometer and with a closure error of 10 cm. Survey cross sections were produced every 10meters. 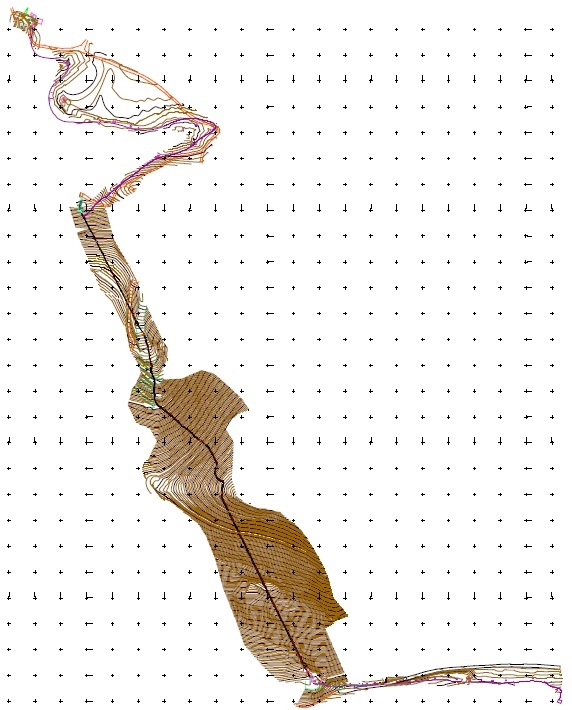 The laser scanner survey was done for the ~800 meters of the underground unlined tunnel length.